The beautiful Sassolungo mountain (3181m) as seen from the Alpe di Siusi in the Dolomites. Wow, I can think of nothing else to say. Well done. There is something simply magical about this image. I love it. 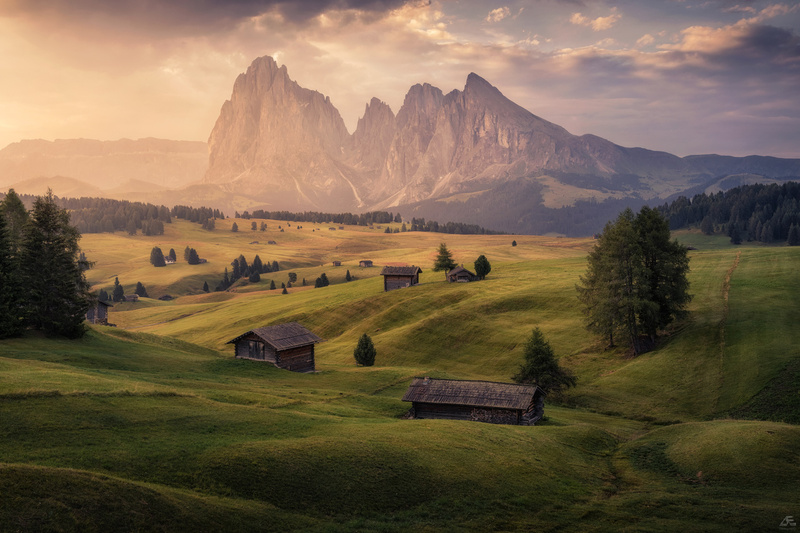 Amazing landscape photo with wonderful light and color tones. Excellent work! Great photo. American airlines uses a very similar photo on their iPhone app startup screen. Same landscape from a slightly different vantage point and different lighting. Must be a great view point. It's like they put those buildings there just so they could be photographed.